Marie Primavera is a self-taught Western astrologer and Astrology writer. Attracted to the constellations and myths at the planetarium from an early age, she now works to usher in beginners to the world of Western Astrology. The information Marie provides helps to boost the wisdom we already live with, spurring us to live healthier, happier lives. Her experience in Astrology writing, psychology, and human nature create a catalyst to better ourselves. Her goal is to use divination to create greater wellness. Marie is a Gemini and a graduate from Keio University in Japan. 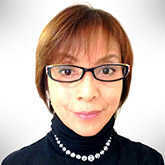 In 2009 Marie Primavera formed a divination and fortune-telling unit with researcher Koizumi Marika. She also hosts open events and seminars.